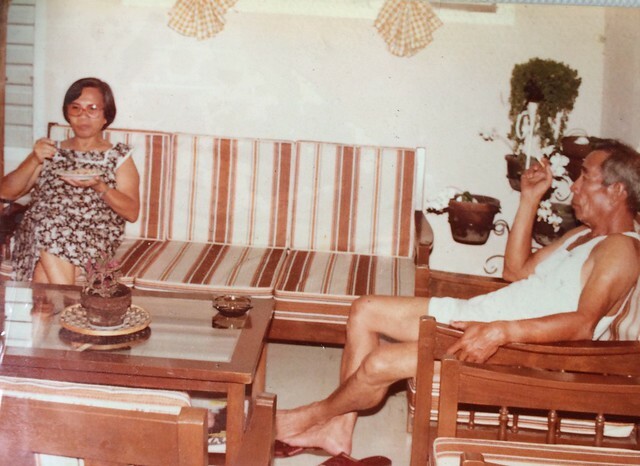 Lola and Lolo, circa 1980s. Gloria Catedral, Lola Gló to us, has come home to be with the Lord in heaven. She was 90. She was hospitalized the day I got home. She died peacefully tonight. We visited her most times of the week, singing her favorite hymns, especially "Great Is Thy Faithfulness." She battled severe infection in her lungs. Prior to that she has had a stroke and has mostly been wheelchair bound. I'm comforted with Resurrection, one of the Puritan prayers in the Valley of Vision, compiled by Arthur Bennett. when the Redeemer’s foe lay crushed in the dust! that his wrongful throne is leveled. My condolences to your family, Lance.